Two interconnected stories. 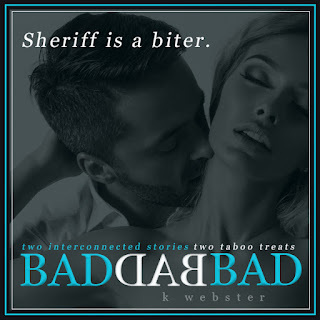 Two taboo treats. Brandt’s Cherry Girl He’s old enough to be her father. She’s his best friend’s daughter. Their connection is off the charts. And so very, very wrong. This can’t happen. 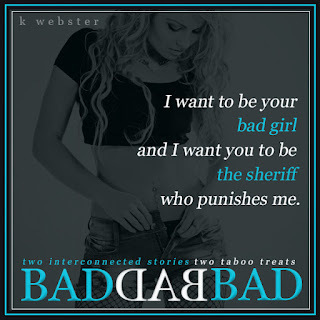 Oh, but it already is… Sheriff’s Bad Girl He’s the law and follows the rules. She’s wild and out of control. His daughter’s best friend is trouble. And he wants to punish her… with his teeth. WARNING: These novellas are extremely hot and jam packed with insta-love. They’re MAJORLY taboo so if you have triggers about age and deviant acts, please don’t read this. I can’t be held responsible for corrupting you. If you have a taste for all things naughty, then you’re going to devour these taboo treats!